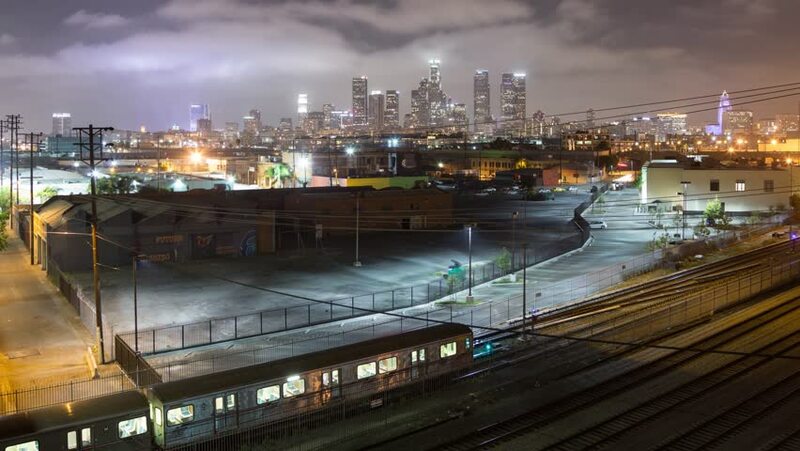 Pan across downtown Los Angeles city skyline cityscape at night with railroad tracks in the foreground. 4K timelapse. 4k00:12Downtown Los Angeles city at night with railroad tracks in the foreground. Zoom in. 4K timelapse. 4k00:12Downtown Los Angeles city at night with railroad tracks in the foreground. 4K timelapse. hd00:17SINGAPORE, SINGAPORE - MARCH 25, 2014: View from the cabin of the Singapore flyer Ferris wheel in Singapore, Singapore.